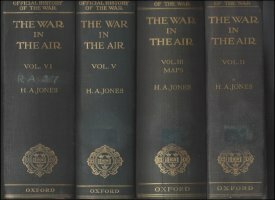 Raleigh & Jones, Oxford University Press, published 1922 (Vol I) through 1937 (Appendices) the history of the Royal Air Force in WW I was began by Walter Raleigh who passed away after completing the first volume. The series was completed by H.A. Jones over the next 15 years. deals with the beginnings of the navigation of the air, the invention, gradual improvements, aerial forces of the British Empire, achievements in 1914. Dardanelles Campaign, Western Front to Battle of Loos, Battle of Somme 1916, RNAS. Flying Operations in German East & Southwest Africa, air raids on Great Britain 1914-1916, supply, recruitment & training 1914-1916, Western Front, Battle of Arras, 1917. Aircraft with the Fleet 1917-1918, U-boat Warfare, Naval Air Operations from Dunkirk, Battle of Messines, Battle of Ypres, German Offensive, First Battles of Somme, Battles of Lys. Raids on Great Britain, Air Operations in Egypt, Darfur & Palestine, Fall of Jerusalem, Campaign in Mesopotamia, Air Operations in Macedonia, Naval Air Operations in Mediterranean & Near-Eastern Waters. Creation of RAF, Suppy, Manpower, Independent Bombing Force, Operations in Palestine, Mesopotamia, Persia & India, Italian Front, Mediterranean in 1918, Naval Air Development & Operations, 1918.
describing in detail the war effort of the British air weapons. 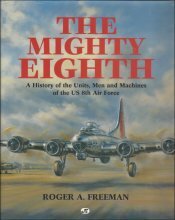 Freeman, Roger, Motorbooks, 1993, f/f (as new), history of the units, the men & aircraft of the 8th Air Force, many photos, 311 pgs. 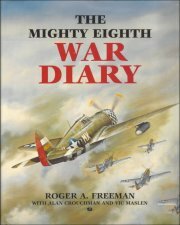 Freeman, Roger, Motorbooks, 1993, f/f (as new) Day by day operational record of the 8th Air Force, photos, 508 pgs. Wynn, Humphrey, Airlife, f/f (as new), Lt. Leslie Blacking's adventures flying night bombing missions in a Handley-Page 0/400, with 207 Sqdn on the Western Front, 239 pgs. Harper, Harry, Scientific Book Club, 1942, vg/g (faded & minor chipping), The author follows the progress of aviation from kites, to balloons, to airships, to gliders to present day airplanes, photos 206 pgs. 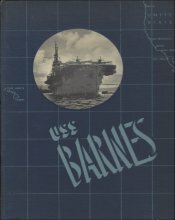 Snow, Crocker, Brassey, 1997, fine (soft cover, as new), The author soloed in 1926, then came a life os barnstorming, active in ferrying aircraft to England, to flying B-29 bombing missions over Japan. 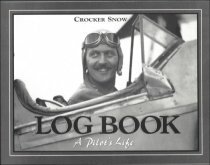 Overall, he logged over 15,000 flying hous in over 140 aircraft types, photos, 290 pgs.